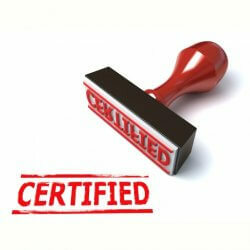 How about Certification of Patent Information Specialists? When does it come? Currently there is progress on this. Now the Articles and Rules are finished apart from some legal details. An invitation to apply for Prior Experience Recognition is scheduled for later this year while preparations for the first exams are being started (date to be determined). In the mean time a document is produced by the Training and Education team, providing detailed information about the requirements. All documents are available at the QPIP website. It’s clear that this certification will only be given to those who pass a very tough exam or are being able to show many years of experience . On the website (www.qpip.org) more detailed information is available. At many events information is given about the progress. At the upcoming event in Milan, celebrating the 10th year Anniversary of CEPIUG, the latest information will be shared. From Education to Qualification a. QPIP Certification: let’s start! Training & Education: is it time to have a full path to the pros? Also the Professional Representatives Committee has been founded by representatives of the different user groups in Europe and the US. This committee has elected the Supervisory Council which will be the board of the certifying organization, the ISBQPIP (International Standards Board for Qualified Patent Information Professionals). Everything seems to be ready for a start now.